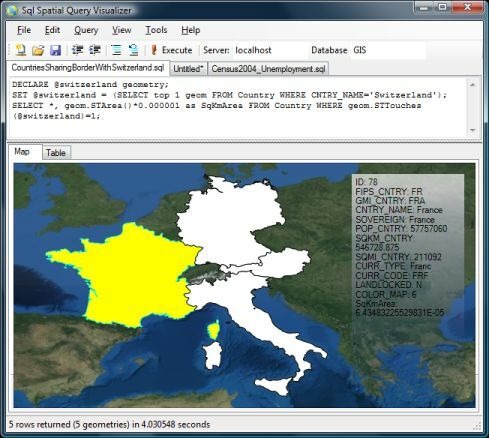 SqlSpatial: Queries MSSQL Server 2008 and displays geometry output on a WPF-based interactive map. .NET 2.0 based raytracer library for raytracing triangles in 3D surface model with high precision. 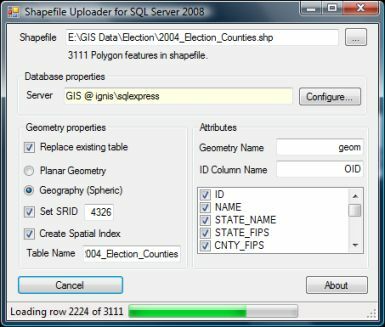 Uploads ESRI Shapefiles to a PostGreSQL database. .NET 2.0 library to triangulate point data using Delauney triangulation.